Since it’s November 1st, I think it’s safe to say that it’s Cardigan Season, y’all. The most wonderful time of the year! And to kick off the season, I thought I’d share one of my favorite ones I’ve picked up recently! 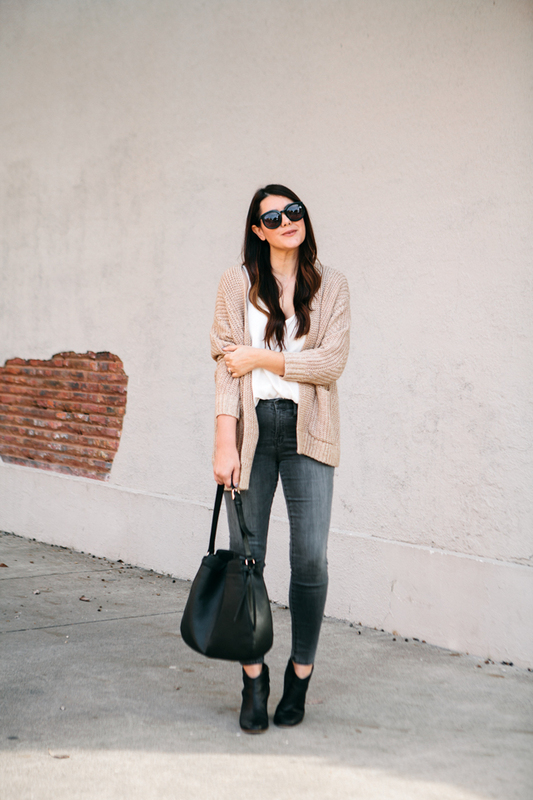 I actually find this style of cardigan hard to find in simple colors, like this camel. 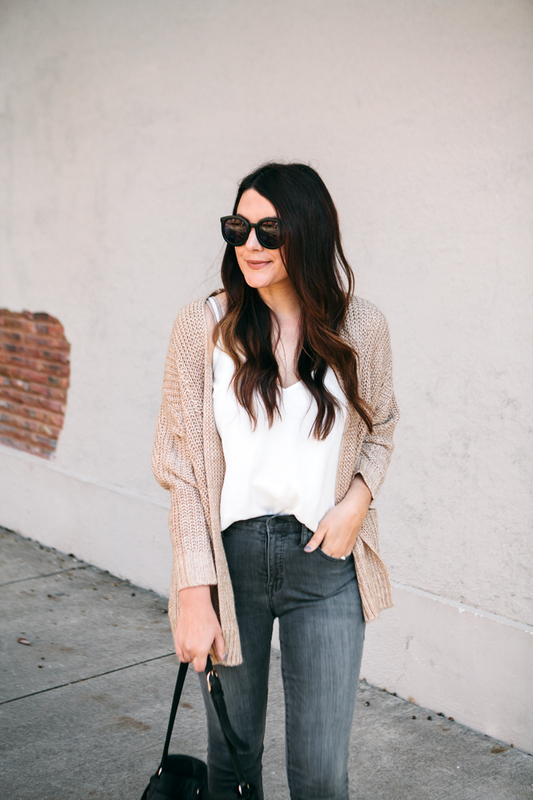 Usually, when I see a dolman sleeve cardigan it is patterned or in a non-neutral shade. So I was THRILLED to see this one at LOFT. I figured I could wear it with my loose knit maxi dress or a like this, simple with a camisole and denim. It runs a little bit big but I’m in the medium. 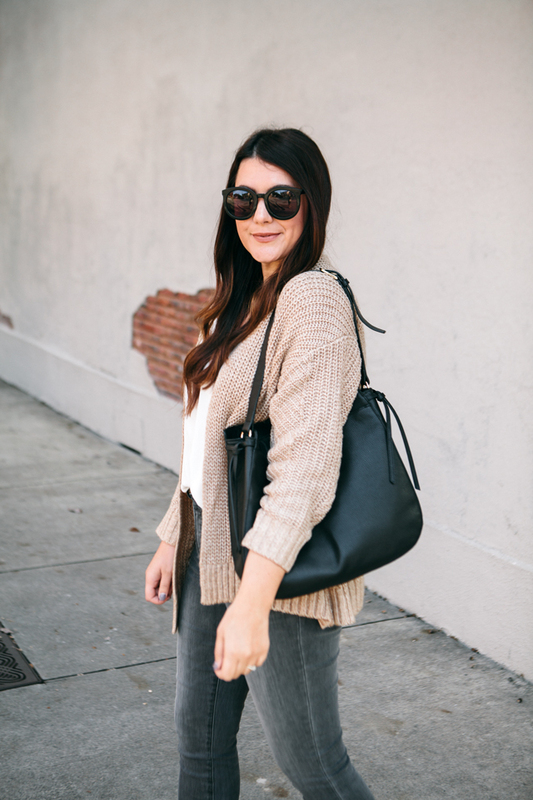 You can find this Lou & Grey Cardigan here! I have worn and worn and worn this simple camisole from ASOS. 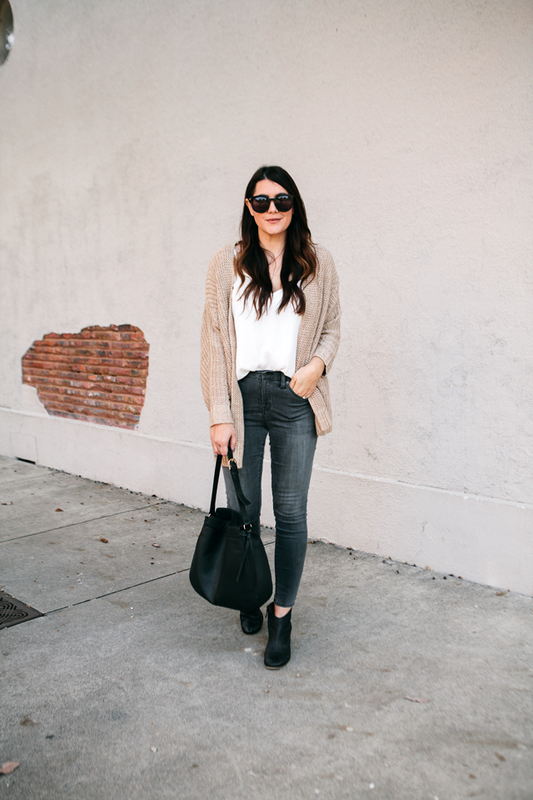 It’s the best basic layer to wear under cardigans like this. It’s under $20 from ASOS and I really can’t say enough about it. You can wear it tucked in or out because it has more of a swing silhouette to it, so it’s even cute worn loosely. I have one in black and white because they are just too easy to toss on with a blazer or a cardigan. You can find this camisole here! Today is our move day for our new warehouse for Everyday & Co! So if I go a wee bit quiet over the weekend, that is why! We are moving everything over and it’s a lot to do in a few short days but we are going to do our best! If you order from the shop, we won’t be able to process your order until mid-week next week but you can still order! Our next launch will be November 12th! 🙂 Wish us luck! And also wish us the energy of two 20-year-olds because we haven’t moved since our 20s. HA! Cardigan fits loosely, but I’m in the medium which is my size. Camisole is true to size but loose, I’m in the 8. Size down if in between sizes. Jeans are TTS! Booties I’d suggest to size up one half! It’s a basic we all need! 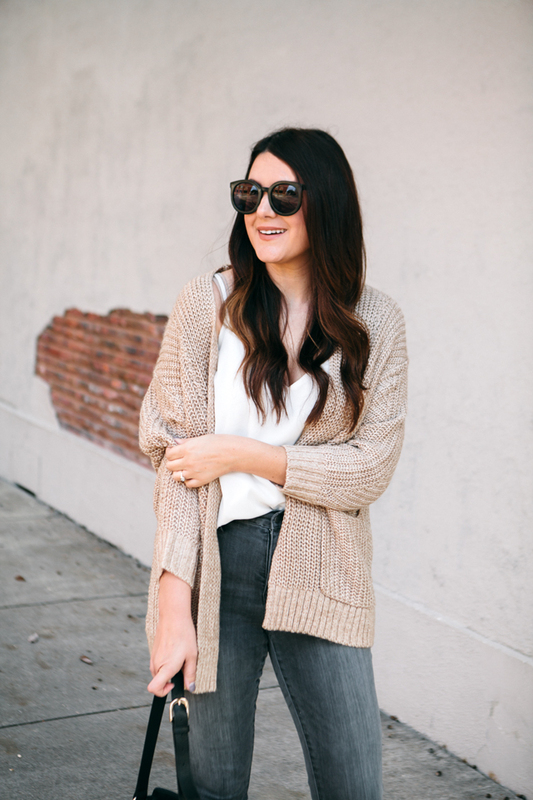 I really like the color of the cardigan and the fact that it’s oversized so you can definitely add layers to your outfit with it! 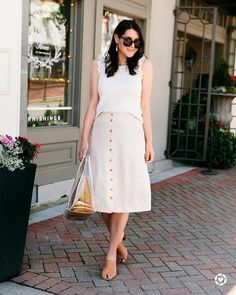 This outfit is classic and I love it!